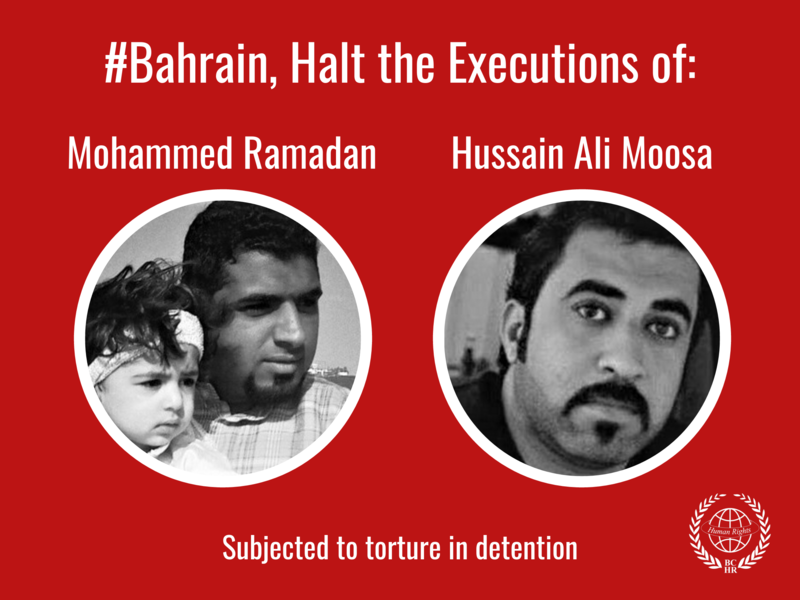 The Bahrain Center for Human Rights condemns the practices of the authorities in Bahrain which targets the families of the victims of extrajudicial killings, by continuing to detain Mr Makki Abu-Taki and Mr Jawad Al-Sheikh, the fathers of the victims Mahmood Abu-Taki and Ali Al-Sheikh; it accused them of inciting hatred against the regime. Makki Abu-Taki had headed towards Noaim police station for interrogation on Tuesday 26 November 2013 and was referred to the Public Prosecution which decided to detain him temporarily for 15 days, after charging him with assembling and inciting hatred against the regime. Information received by the BCHR indicates that Abu-Taki had been subjected to mistreatment and insult while being held at the temporary detention in the Dry Dock prison. On Thursday 12 December 2013, Abu-Taki was brought forth to the Public Prosecution which renewed his detention for another 30 days. Shaker Abu-Taki – the eldest son of Makki Abu-Taki - on his official account on the social network Twitter said that his father suffers from pain in his stomach and he has been suffering from this pain for 12 days, however, the prison administration did not pay any attention to him at first, and only gave him pain killers, and when his condition deteriorated he was referred to the police fort hospital and then to Salmaniya Medical Complex so as to refer him to a specialized doctor. Worth mentioning, Makki Abu-Taki’s son, the victim Mahmood Abu-Taki had been killed with direct shotgun bullets when the army and police attacked the protestors in the Pearl Roundabout at the dawn of 17 February 2011. Until this day the Ministry of Interior did not take any measures or investigate the case, although there is a letter dated two years ago requesting an investigation in the case. On 9 January 2014 a court released Abu Taki on bail of 100 Bahraini dinars. A civilian group, affiliated with the National Security Apparatus, accompanied by the police, raided on Sunday 24 November 2013 the workplace of Mr Jawad Al-Sheikh and took him to an unknown destination, where he was interrogated about the speech he gave in a religious occasion. The Public Prosecution decided to detain Al-Sheikh for 15 days, and then they decided on Wednesday 11 December to renew his detention for another 30 days after charging him with assembling and inciting hatred against the regime. This is the second time that Al-Sheikh is arrested for his notable activity in defending human rights and demanding to hold those responsible for killing his son accountable. Worth noting, the child victim Ali – son the of the detainee Ali Al-Sheikh – was killed after being directly shot at with a teargas canister which hit his head during a peaceful demonstration in his village in the morning of Eid Day on 31 August 2011. Al-Sheikh’s wife said that her husband is suffering from Rheumatism and that the prison administration refuses to permit entering his medication. As well, one of the officers named ‘Al-Saati’ at the Dry Dock prison always aggravates Al-Sheikh by pulling away his pillow and blanket while sleeping. 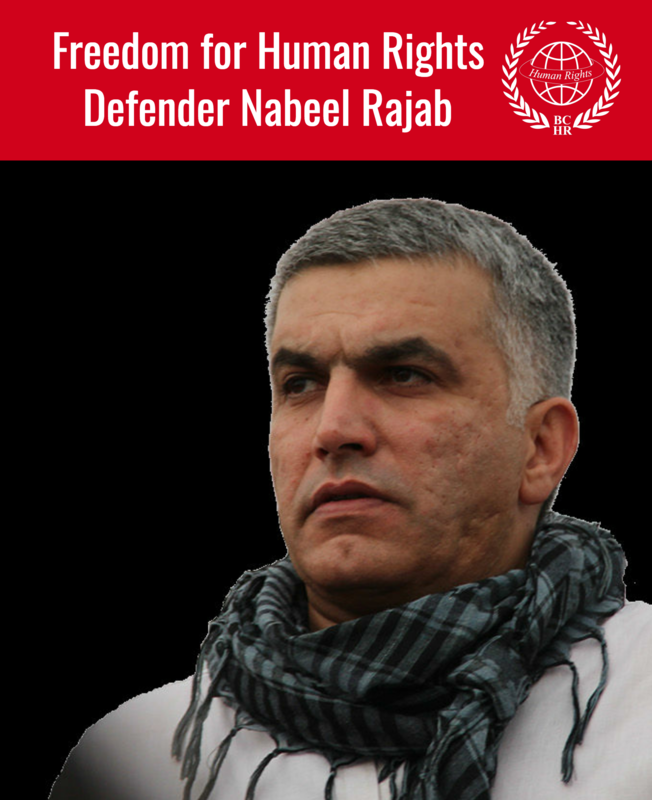 On 9 January 2014 a court ordered release of AlShaikh on bail of 100 Bahraini dinars. However, the criminal invistigation department alleged there is another cases against him and therfore continued to keep him in detention. These two incidents are not a newly emerging matter; the BCHR had documented continuous abuse since 2011 against the families of victims of extrajudicial killings who continued to protest against the lack of accountability of their children’s killers. Last August, the security apparatuses arrested Mr Abdul-hadi Mushaima, father of Ali Mushaima, who is the victim who was shot with a direct shotgun bullet in the back while suppressing a peaceful demonstration in his village in the evening of 14 February 2011. The Court of Appeal had reduced the sentence of the policeman who killed Mushaima from 7 to 3 years justifying that with that the killing was unintentional. The Public Prosecution decided, last August as well, to detain Mr Ahmed Muwali, father of the victim Yousif Muwali, who was arrested by the regime forces and tortured, and had his corpse dumped on one of the beaches of Muharraq Island. The Public Prosecution also detained the father of the victim Ahmed Ismail who was killed after suffering a gunshot in Salmabad; the former was accused of participating in an unlicensed demonstration. The security apparatuses had also interrogated Jassim Al-Asfoor, father of the victim Yaseen Al-Asfoor who died after suffocating from teargas, which intensified the symptoms of Asthma which he suffers from. It also interrogated Mr Saeed Isa Hussein, father of the child victim Sayed Hashim, who was directly shot at with a teargas canister and which caused his death. In an act of vengeance, the Military Court recently issued a verdict to detain the military man Faisal Jawad Al-Ghuraifi the father of the infant victim Sajida – who died after 5 days of birth due to suffocating from teargas shot by the regime forces as a collective punishment on the houses of citizens – the father was sentenced with 6 months in prison and dismissed from work on the charge of being absent from official working hours during the state of emergency period in 2011. The civilian forces, affiliated with the National Security Apparatus, accompanied by the police forces raided the house of the victim Abdul-Nabi Al-Aqel – who died when a police vehicle that was chasing him hit him in the morning on 23 November 2011, and it was the same day that the BICI report results was announced – they arrested his nephew Qais who was living with him in the same house. The civil militias attacked the victim Al-Aqel’s sister and beat and pepper sprayed her face when she was attempting to defend her detained son. Semi confirmed information indicates that the detainee Qassim Badah, the uncle of the victim Ali Badah – who was killed when regime forces’ vehicles hit his body while suppressing a peaceful demonstration in Juffair area - was tortured in the Criminal Investigation Department to take revenge from him for his work as a coordinator for the association of families of martyrs, and which is an association that was established to coordinate between the families of victims of violations practiced by the authority especially in relation to holding events and providing legal support. The Supreme Court of Appeal reduced the imprisonment of the policeman accused of killing from 7 to 3 years. Acquitted the defendants from the charge of murder. The Ministry of Interior did not take any action or investigate the case, although there is a letter dated two years ago requesting an investigation in the case. The Court of Appeal upheld the acquittal verdict against those accused of killing. There has not been another investigation although the reason behind the acquittal was lack of evidence. Another investigation should have taken place to find the real killer. The Court of Appeal upheld the acquittal verdict against the one accused of killing. There has not been another investigation although the reason behind the acquittal was lack of evidence. Another investigation should have taken place to find the real killer. According to the Ministry of Interior, no officer admitted to shooting the victim. The Public Prosecution investigated and listened to the statements of eye witnesses, however, the Public Prosecution to date did not refer the case to court, and it did not inform the victim’s family of the procedures taken. The investigation in the case concluded that the Bahrain Defense Force members apparently acted according to the law, and the case was closed. The investigation carried out by the Bahrain Defense Force concluded that the Bahrain Defense Force members acted according to the applicable law and regulations. A financial compensation was provided to the victim’s family by the government and company he worked in. There is no case in court. A criminal complaint was filed and reserved in one of the police stations. There is a file case in the military court which the family had not seen. The family was informed by the Ministry of Justice that a compensation amount was deposited to two of his children in the minors’ trust fund, while the rest did not receive the owed amount. The investigation carried out by the Bahrain Defense Force concluded that the Bahrain Defense Force members acted according to the applicable laws and regulations. The Public Prosecution did not investigate this case. The Court of Appeal reduced the imprisonment sentence against the defendant accused of killing from 7 years to 6 months in prison. The specified period elapsed without the Public Prosecution filing a cassation appeal, although the maximum penalty for the convict is 14 years in prison. There is no case in court. The family refused to receive the compensation amount. An amount was deposited in the minors’ trust fun without referring first to the family. The Court of Appeal reduced the sentence in the case of the two policemen who were convicted by the Court of First Instance with 10 years in prison to two years. The specified period elapsed without the Public Prosecution filing a cassation appeal, although the maximum penalty for convicts is 14 years in prison. Acquitting the five policemen charged with torture. The Court of First Instance sentenced the defendants with 7 years in prison, and then the Court of Appeal amended the sentence to 3 years. The specified period elapsed without the Public Prosecution filing a cassation appeal, although the maximum penalty for convicts is 14 years in prison. There is no case in court. The Public Prosecution listened to the witnesses, yet to date it did not refer the case to court. An amount was deposited in the minors’ trust fund for the victim’s son, while his mother refused to receive the compensation amount. Trialling Bahrain internationally for its continuous and repetitive violations of the Universal Declaration of Human Rights and the International Covenant on Civil and Political Rights it had endorsed. Drop all charges related to freedom of expression in the ongoing trials.